To continue our "what if" scenario: After Obama is safely re-elected, all hell breaks loose in early 2013. Roaring inflation makes a comeback — possibly to hyper-inflation akin to the experience of Weimar Germany in the early twenties right after World War I.
America declines not just as a "super-power," but in its status as a "prosperous" nation, and finds itself in an economic calamity worse than the Great Depression of the thirties. China may be tempted to call in its chits. At that point, we are dangerously close to Greece, if not worse. Craig R. Smith, founder and chairman of Swiss America Trading Corporation, e-mails us that the scenario as a possibility is "spot on," and adds, "If it is by design or a mistake is another issue, but it is going to happen unless the Fed pulls back on QE2 (the $600 billion) and Obama puts austerity measures in place." 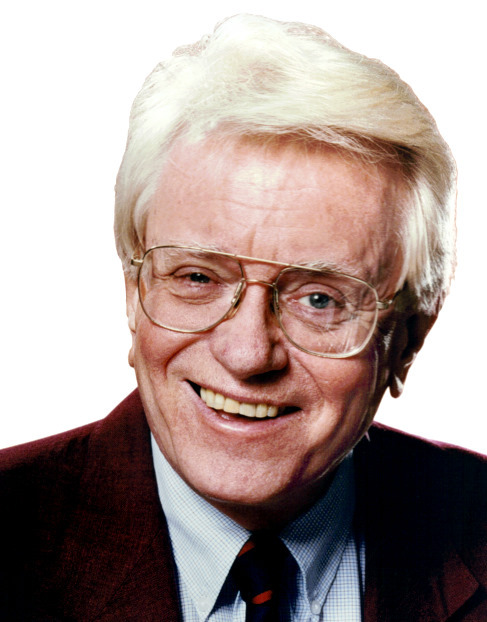 In his book Crashing the Dollar (co-authored by Lowell Ponte, a former Roving Editor for Readers Digest), Smith warns, "The United States is digging the biggest economic hole in U.S. history. This hole of debt is so deep that you can hear the voices of Chinese creditors asking one another if they will ever get that $900 billion they have lent to us. "The hole of debt is so wide that it threatens to collapse the foundations not only of the U.S. dollar and economy, but also of other major currencies and economies around the world." Let us understand that what we may confront is beyond a U.S. experience of anyone living today or in all American history. "Because our dollar is the world's reserve currency, and we are the biggest and richest consumer of the whole world's products, if the United States becomes a black hole, we will probably pull the whole world economy down with us. "The Dark Years will spread around the planet and could collapse the human future for decades, even centuries." The term "collapse" is not used lightly in the scenario: "Whatever savings in paper money people had put into bank accounts, stashed in a wall safe or stuffed into mattresses are now worthless.... Supermarkets and gas stations no longer accept either paper money or credit cards. But their last shoppers and first looters have already emptied or looted their shelves. "Roving gangs have begun raiding isolated homes and farms, and fear of soaring street crime keeps most people locked behind metal bars of their windows and doors." Is it too late to head off the nightmare of hyper-inflation? And is there a way by which at the very least it can be minimized before we are wiped out? Craig Smith reminds me that "printing money in and of itself is not inflationary. It is when that newly-created money gains velocity and turns over and over again that price inflation appears. Then it feeds on itself and is virtually impossible to stop without significant increases in the interest rate. Hikes in rates would bring the economy to a screeching halt. That is why Germany went from mild inflation (5-10% in 1921) to hyper [inflation] in 1923." ...So what is the Fed for? There are those who (not without valid reason) believe the Great Depression of the thirties could have been averted had there not been a Federal Reserve Board. In this space, we will save all that for another day. (Meanwhile, please see A Monetary History of the United States 1867-1960 by Milton Friedman and Anna Schwartz). The case for abolishing the Fed is getting serious attention in many quarters in 2010. The FRB — to the extent it must be tolerated at all — should be relieved of the politically-imposed contradictory responsibilities imposed upon it. In the late seventies — during the Carter era of economic nitwittery, the Humphrey-Hawkins so-called "Full Employment Law" was enacted. 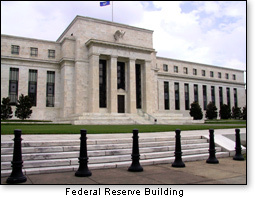 One of its provisions was that the Federal Reserve Board would be charged with the responsibility to promote both maximum employment and stable prices. In 2011, the incoming 112th Congress would do well to support legislation by Rep. Paul Ryan (R-Wisc.) to allow the Fed to direct monetary emphasis only on stable prices. That goes straight to our biggest current threat: inflation. As for unemployment, one good way to deal with that is to encourage business investment, which in turn can create jobs. Congress has an opportunity to do just that by preventing the Obama tax hikes from kicking in, as they are scheduled to do for everyone (including the job providers) on January 1. That issue is hung up in the current discredited and rejected "lame duck" Congress which plays the old hackneyed class hatred card — marching in rhythm to the tune of the Obama regime's jihad against job providers whom they label "the rich." The new Congress arriving in January may have to enact a retroactive rollback of the Obama tax hikes. An in-depth exploration of how to head off the impending inflation disaster would require our own book, not something that would fit into our limited space. For now, gold is making a comeback, as more investors see it as a hedge against what they believe is the inflation — perhaps hyper-inflation — just around the corner. Alas, the government is not going to restore the gold standard. 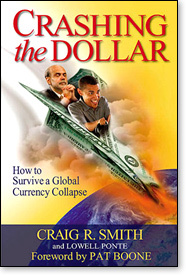 Craig Smith in Crashing the Dollar says asking politicians to consider it is a waste of time. Why? Two groups of people "hate gold, at least when used as a standard anchor for national currency," he says. "The gold haters are modern politicians and central bankers. A gold standard prevents both from creating money out of thin air." One of the biggest lessons from the Weimar experience: Those who had gold or gold-backed foreign currency in Weimar "did very, very well."